A fun-loving lower Nob Hill restaurant serving unique Hawaiian flavors. 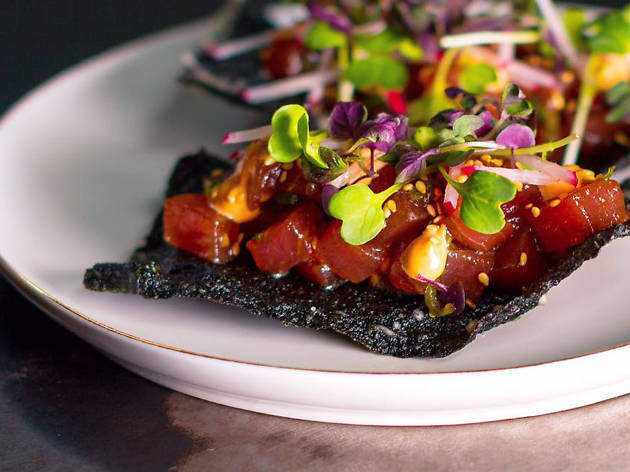 Chef Ravi Kapur came up in San Francisco’s seminal Boulevard kitchen, but at his popular Lower Nob Hill restaurant, he’s weaving together the flavors of his Hawaiian youth. The menu features bright and wholesome dishes like whole Maine lobster in black bean sauce and marinated squid with watermelon, lemon cucumber and crispy tripe. Downstairs Louie’s Gen-Gen room, with its exposed brick and open kitchen, seats reservation-only diners. 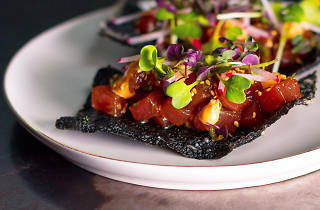 At the ohana table, Liholiho prepares a feast of 10-12 dishes for groups of up to 12 people for only $55 a pop. Upstairs, a busy full bar and a handful of tables try to keep up with the steady torrent of walk-in hopefuls.